I ran a compote-making workshop at the London Orchard Project’s Apple Festival in October. I bought a Christmas gift from them to create a legacy for London. The vouchers were sold by the London Orchard Project at their Apple Festival 2013 to support fruit tree planting across the capital. I bought two of them to make a symbolic gift to my partner’s children, who are 22 and 18. They are Londoners who will be able to say in a few years time that fruit grows somewhere in the city somewhat because of them. 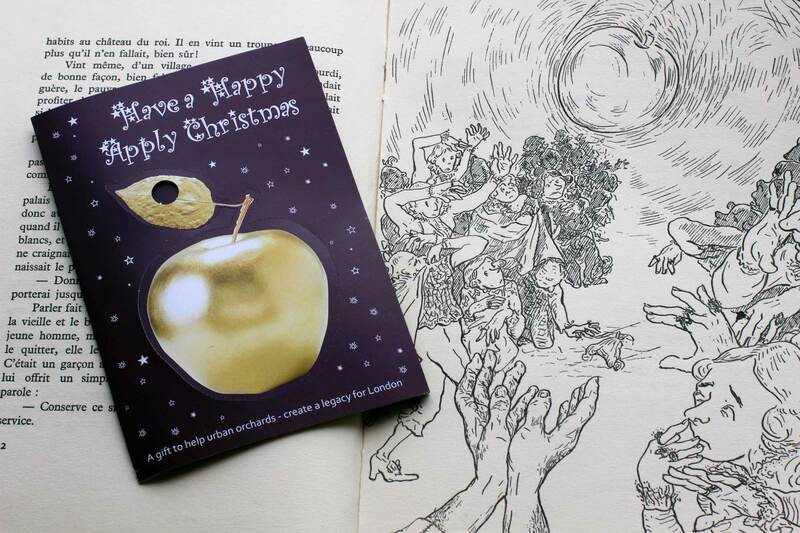 The golden apple on the voucher also reminded me of a fairy tale illustrated by my mother in 1954. I looked in the book and found the story: the only brave enough man to catch the golden apple thrown by a princess in the middle of the Joneses to select her future husband was a peasant who became king. The moral of the story is somewhat – and I say this in relation a speech from the Mayor of London this autumn in which he praised the ‘spirit of envy’ – that there is a better future for the generous than for the envious. Photo 19th Oct 2013. We worked in teams who could either peel and core the apples or use a sieve to remove the skins once cooked. The aim was to show that apple compote can be made in various ways that are all simple and quick. Attendees could choose natural additives such as vanilla, cinnamon, lemon juice and blackberry puree according to their taste, as well as the various cooking and eating apple varieties on display. Results were then compared and we could taste compotes and purees of various colours and tastes, some unsweetened. Each of the cooking trainees, including some children with their parents, could take around 400g of compote home in plastic boxes I had brought to that end. This was also the opportunity for me to see the London Orchard Project people whom I have been volunteering for at various occasions since 2011. Learn more about compote and puree and how to make some here. 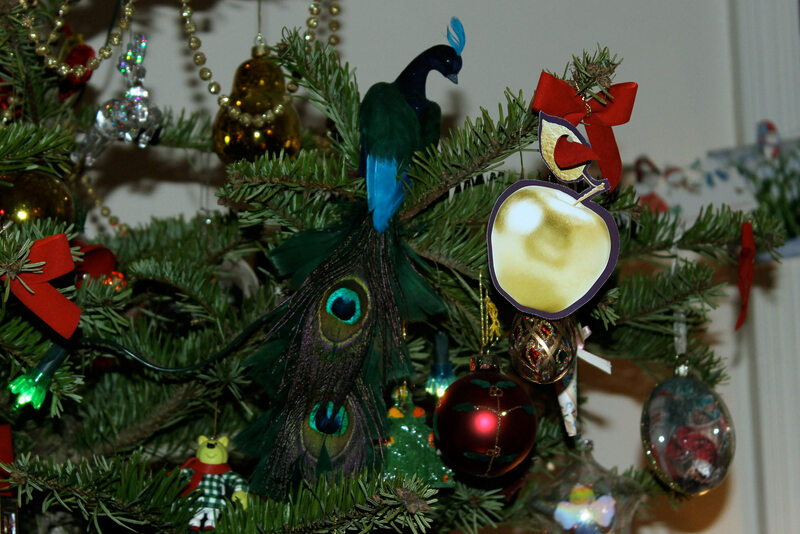 This entry was posted in Events, Stories and tagged Apples, Central-London, UK by Les Jardins d'ici. Bookmark the permalink.